I want to thank all our repeat and new customers for fishing with us in May. 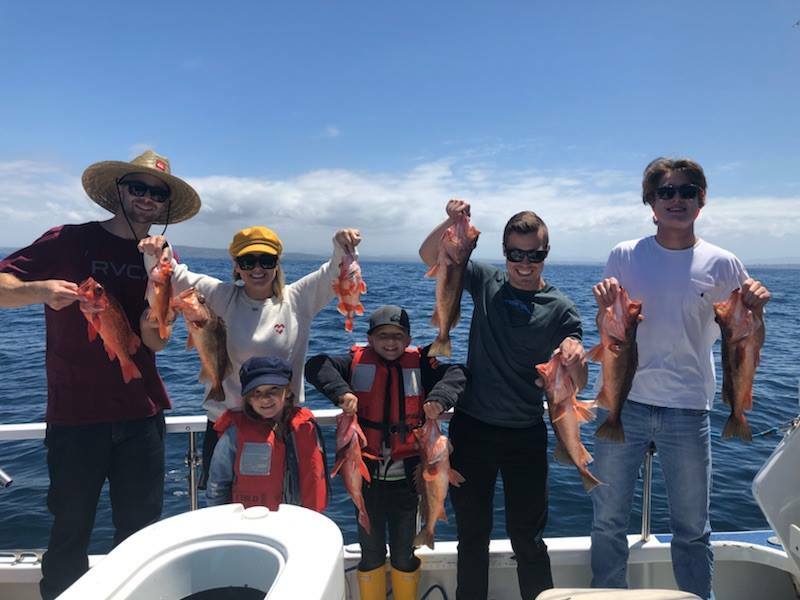 We had quite a month with a great bite on rockfish and lingcod. As our June trips continue we are looking forward to more great fishing and adventures. It was this time last year we had 5 mako sharks in one day! We are rigged up and ready, are you?! If you know the dates you are looking to fish with us, please give me a call as we are booking up fast. The spring season is right around the corner and some of the best fishing of the year. You can also BOOK ONLINE. 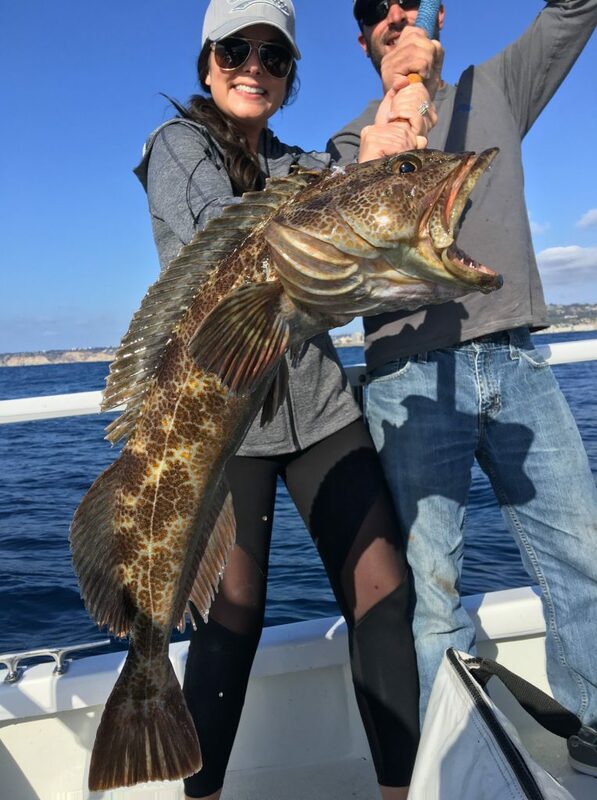 A Pair Of Quality Lingcod For The Ladies! Captain Brian at the helm and first mate Mat on the back deck back at it again on an afternoon ½ day today. A pair of quality lingcod was the highlight of the afternoon. The ladies brought home the big ones while the guys stood and watched. They also caught a few rockfish. Thanks Greg for choosing Coletta Sport Fishing for your fishing adventure. Limit Style Fishing This Morning For A Birthday Group! Captain Jon at the helm and first mate Mat on ½ day charter. 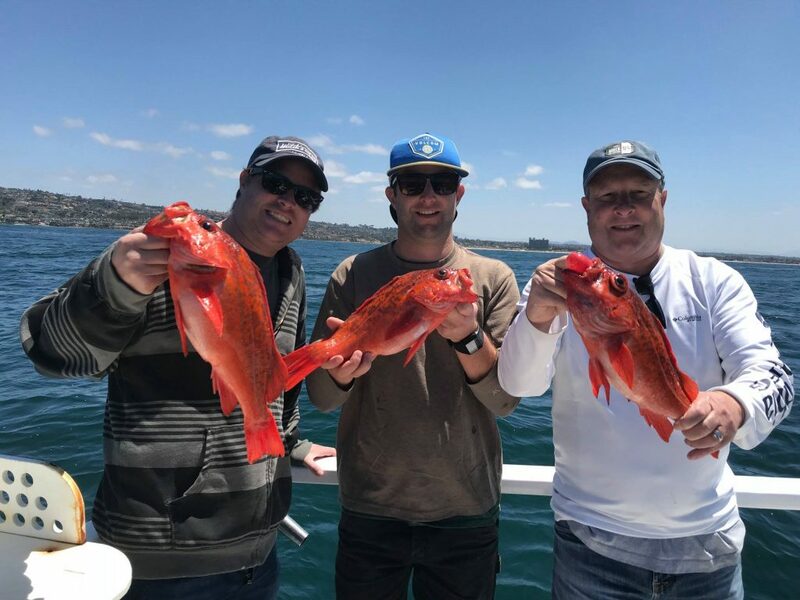 It was a beautiful San Diego morning and the fish were on the chew. They caught 18 Boccaccio and 28 rockfish (2 rockfish released). Happy birthday Logan from all of us at Coletta Sport Fishing! 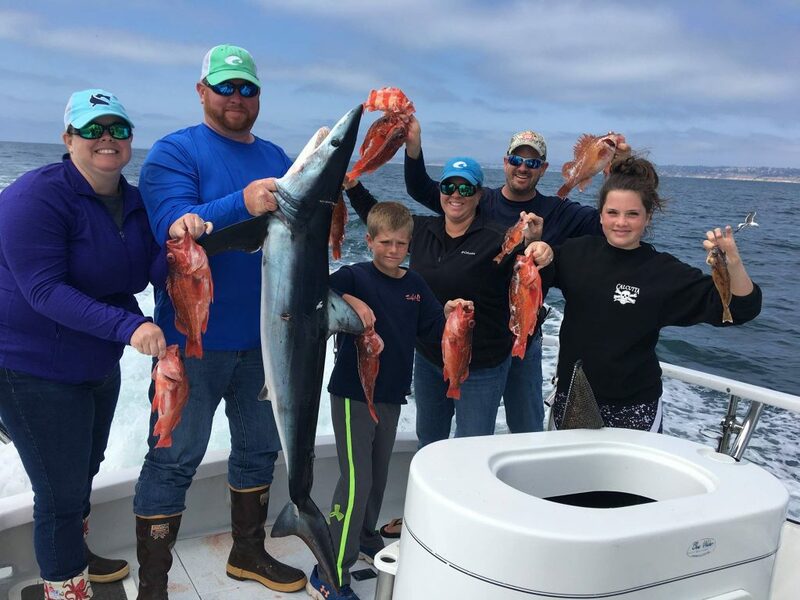 Thanks Tarah for choosing Coletta Sport Fishing for your birthday fishing adventure. Quality Fish Still On The Chew For Fun Group From Chicago! Captain Jon at the helm and first mate Mat back at it again on an afternoon trip. The fishing was a little slower for this bachelor party group then this morning’s charter (wind picked up) but they still managed to catch some nice fish. 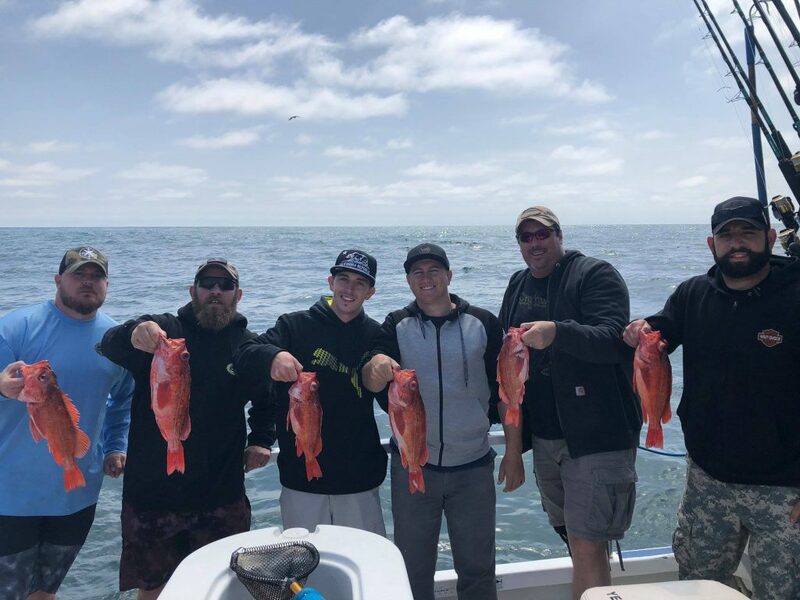 They caught 1lingcod and 21 rockfish (1 rockfish released) for all their hard work. Thanks Andy for choosing Coletta Sport Fishing for your birthday fishing adventure. Rock Fishing Continues To Rock & Roll For Father & Son’s Team! Captain Hale at the helm and first mate Mat on the back deck on a ½ day local trip today. 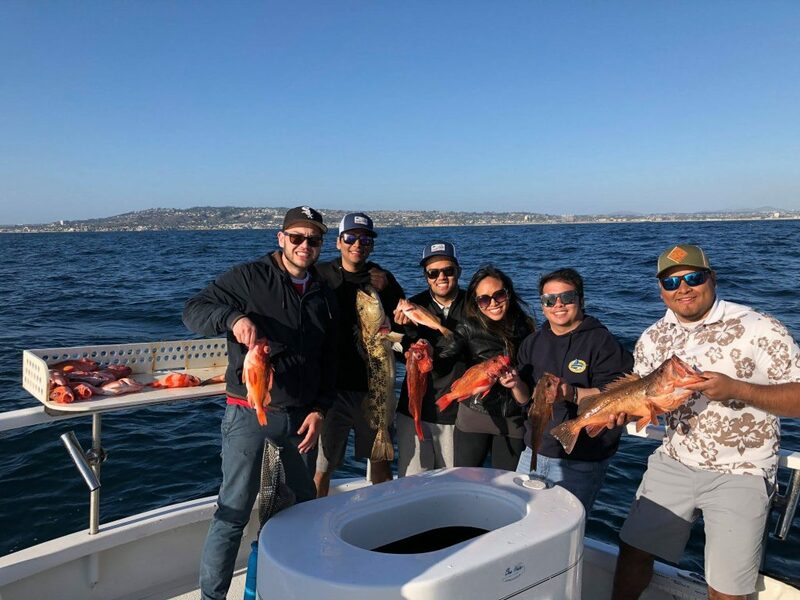 Awesome bottom fishing for today’s group from San Diego. The group really put the hurt on some quality rockfish this morning. They caught 8 Boccaccio and 23 rockfish. Steady Pic Of Rock Fish For A Fun Group From Arizona! Captain Jon at the helm and first mate Hale on the back deck on a ¾ day local trip today. It was a nice day on the water for a fun group of guys. The bite it wasn’t wide open but steady picking on the rockfish. They caught 39 rockfish (5 released), 1lingcod, 5 Boccaccio (5 released) for all their hard work. Thanks Brandon for choosing Coletta Sport Fishing for your fishing adventure.